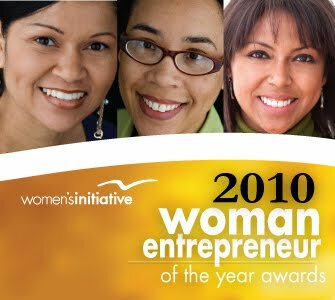 Nominate a Bay Area Woman Entrepreneur NOW! - Advance their business through innovation. A Leadership Committee from each region will determine the Woman Entrepreneur of the Year based on information provided by the nominee. Winners will be announced in August and honored at one of five regional award celebrations in October. In addition, winners will be recognized in local media and featured on the Women’s Initiative website and newsletter. To be considered for the award, an individual must indentify as a woman and be the founder or owner of a successful business. Deadline for nominations is May 31. For more information and to nominate a woman entrepreneur, go to www.womensinitiative.org. Do you have 2 hours to help a woman build her business and her confidence? Join me! Women's Initiative for Self Employment (WI). women survivors of war everywhere in the world. We hope you'll join us on the Golden Gate Bridge on March 8th as we participate in this global campaign. We will gather in the southeast parking lot (on the San Francisco side of the bridge) at 11:30 AM and at 12:00 PM we will start our walk to the center of the bridge. Parking is limited, so we encourage you to carpool or take public transportation. We will conclude about 1:30pm. To RSVP please visit http://joinmesanfrancisco-rss.eventbrite.com/ and register for this free event. To find out more about the Golden Gate Bridge event and "Join me on the Bridge" events in other locales, visit the “Join me on the Bridge” website www.womenforwomen.org/bridge. If you have further questions, please contact our San Francisco volunteer organizers Deanne Yanek Travis at dyt@georgetown.edu or Mary Ann Walsh at walshmaryann@yahoo.com.